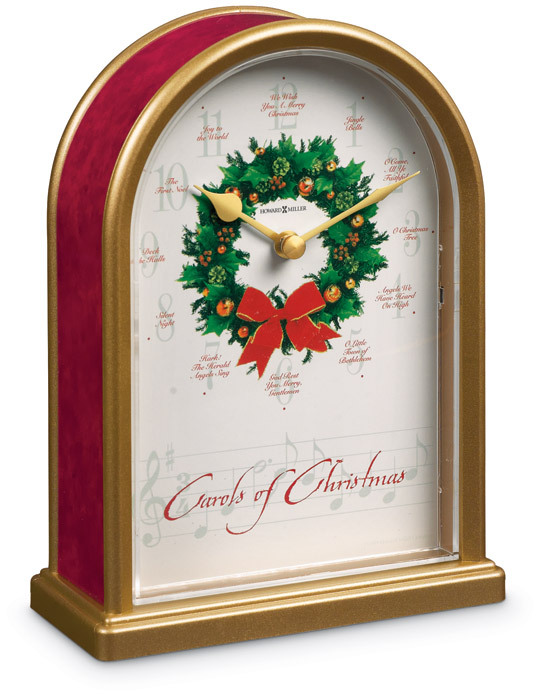 As the hour hand moves from hour to hour, a different carol plays. The satin brass case has an acrylic crystal that protects the decorative face and the hour and minute hands. The automatic nighttime chime shut-off ensures quiet rest when you want it. Batteries are included for the quartz movement. One-year warranty.